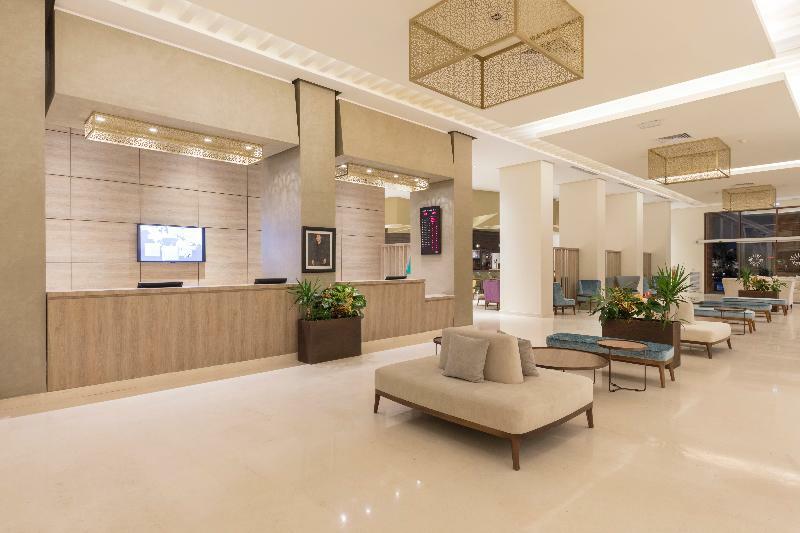 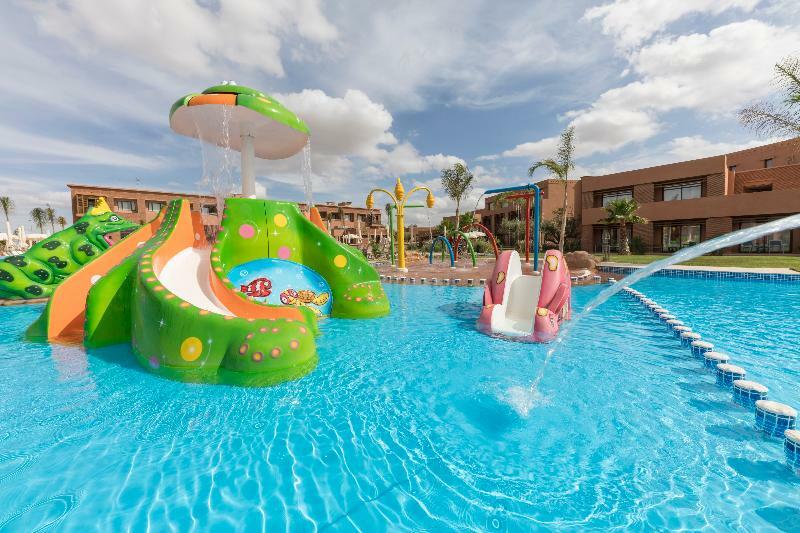 This is an elegant 4 star hotel with a family-friendly atmosphere, providing our guests a pleasant and exotic stay in the heart of the Palmeraie of Marrakech. 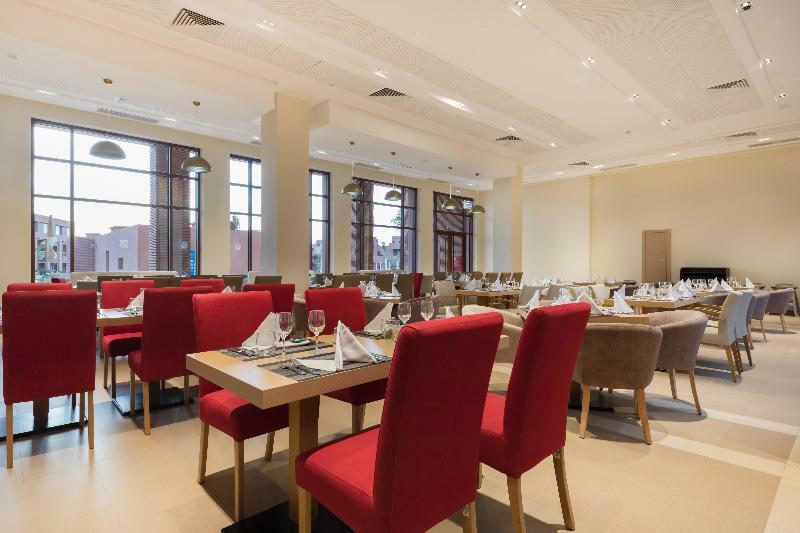 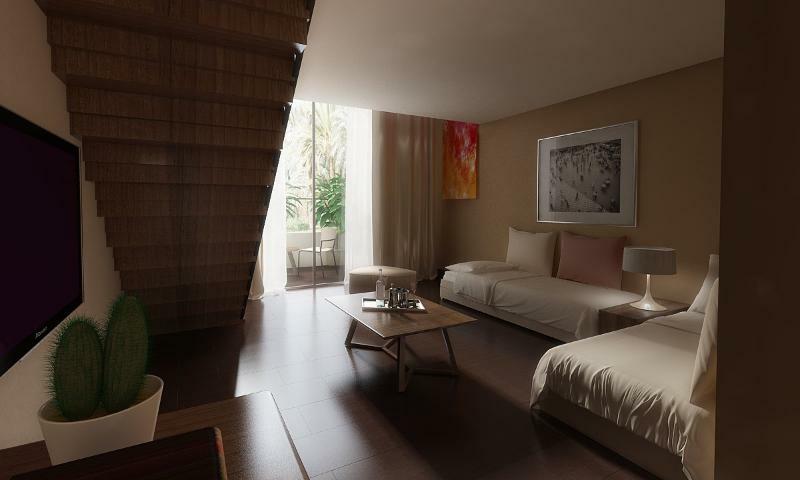 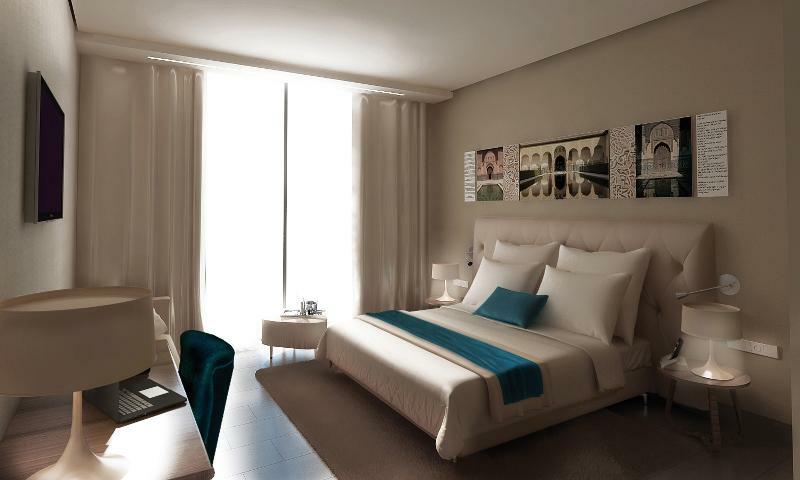 Just 6 km far from the historic center of Marrakech, our hotel leaves no one indifferent. 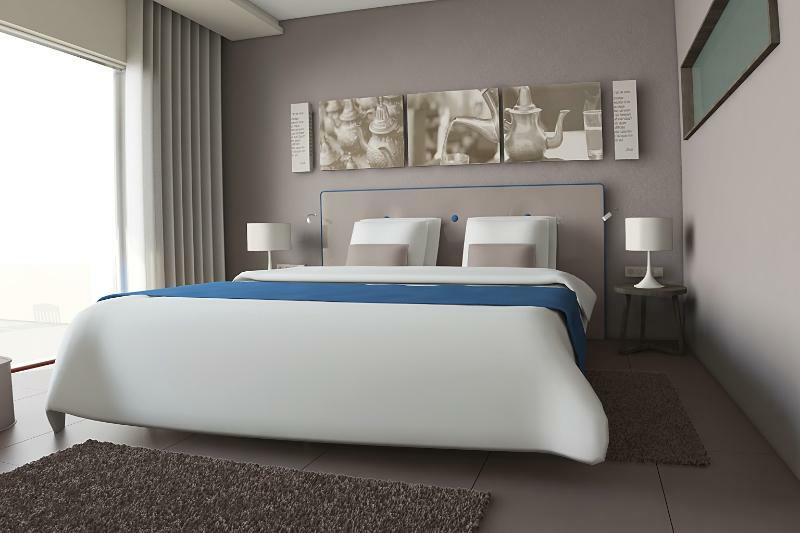 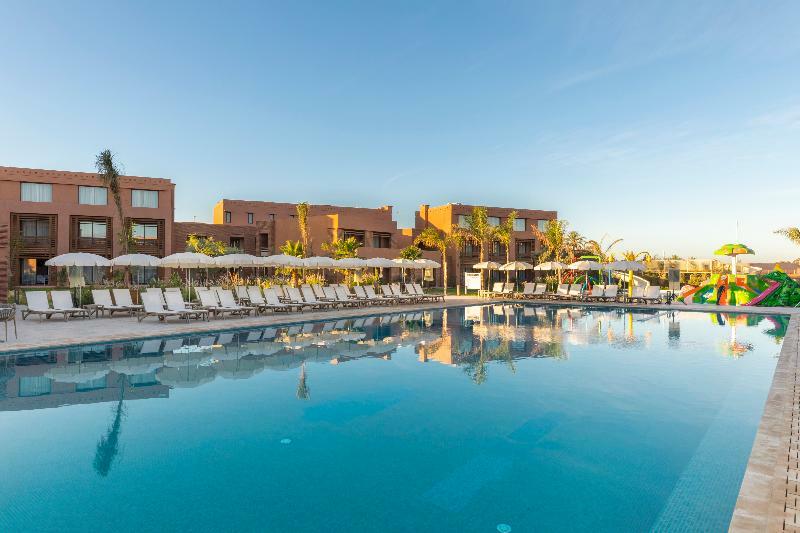 The 167 modern and comfortable rooms are divided into single, double rooms, duplex and suites with views on the pool, on the Atlas Mountain or on the Palmeraie. 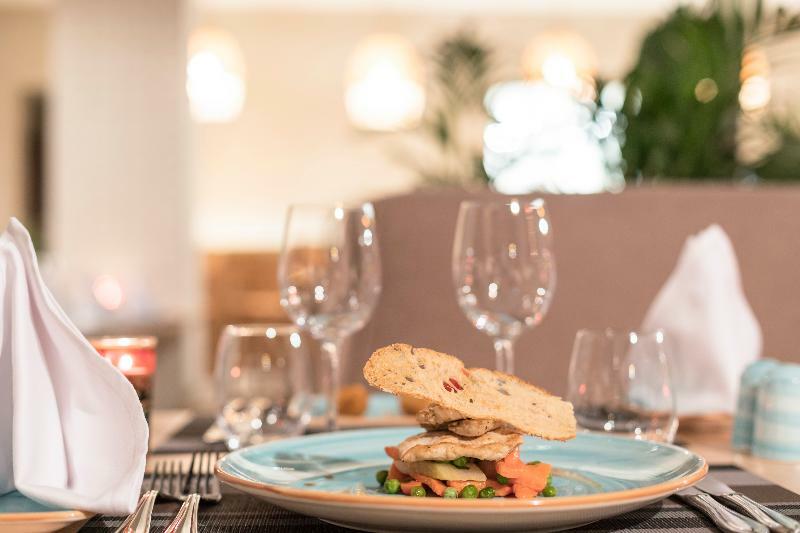 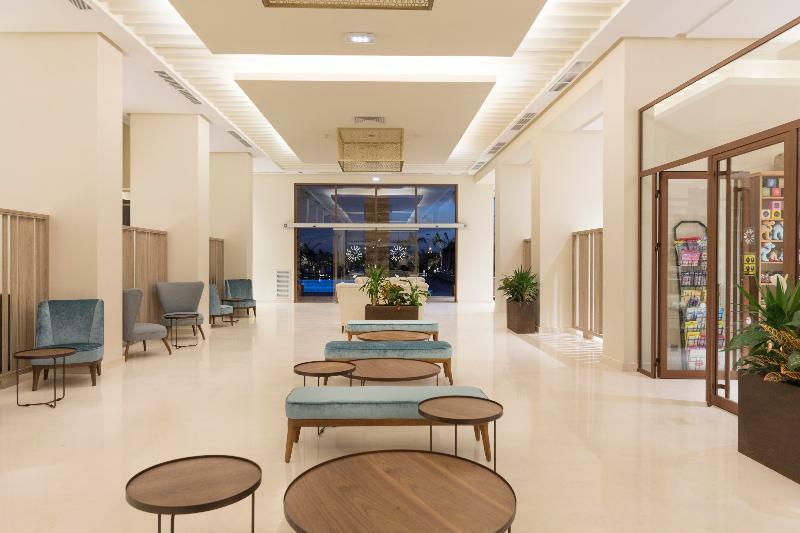 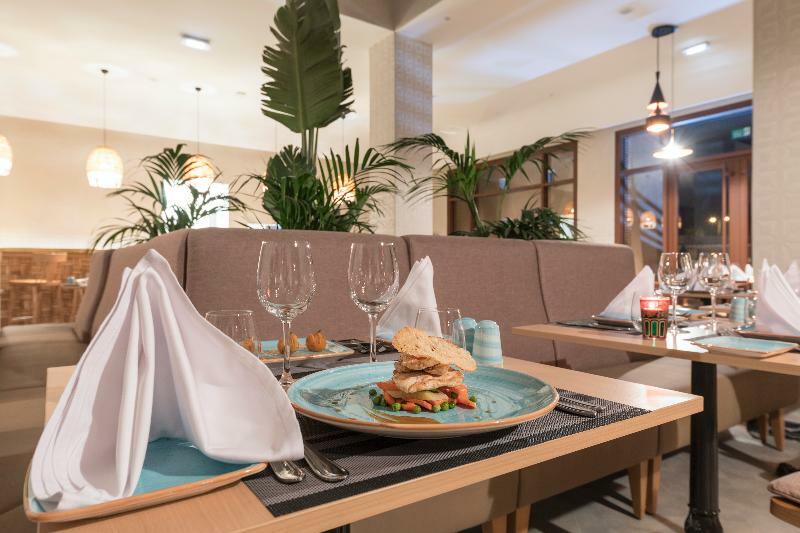 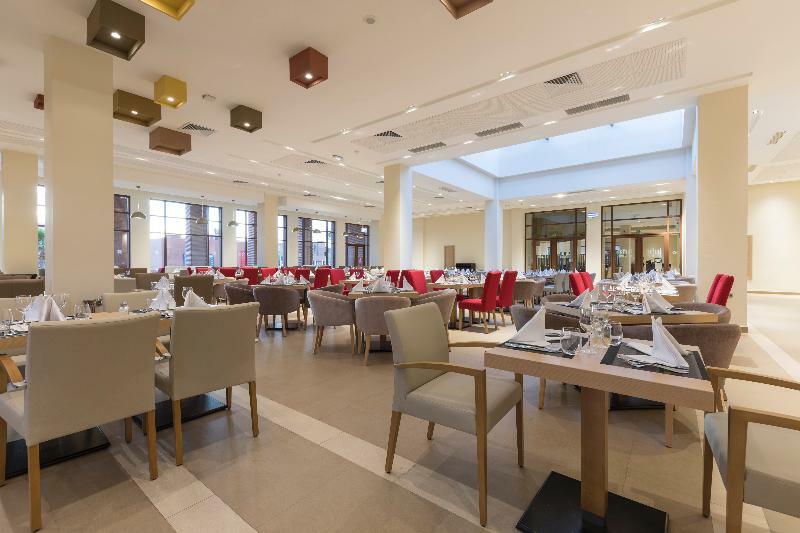 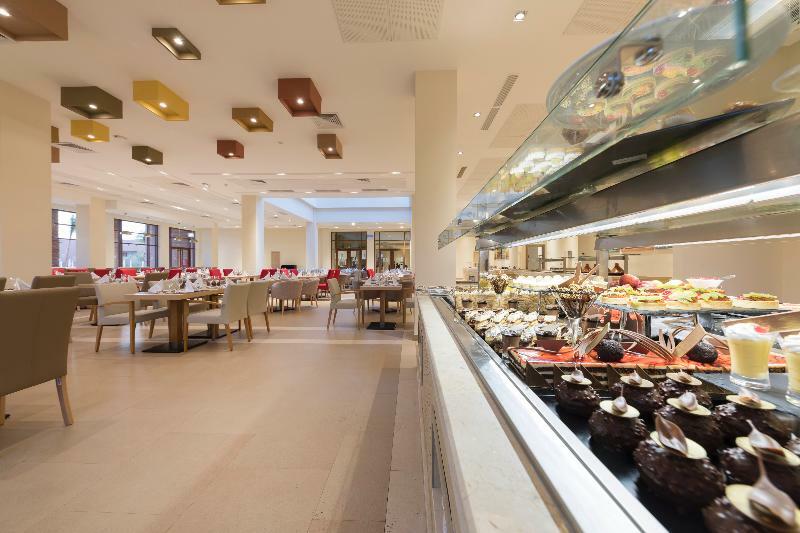 The Hotel offers a large choice of food and beverages services with one international buffet restaurant, an Andalusian a la carte restaurant, a snack grill next to the pool and a luxury lobby bar. 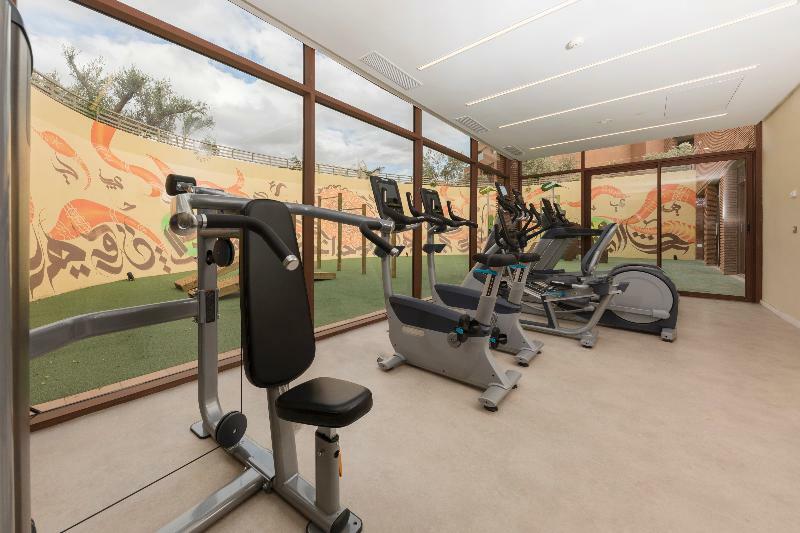 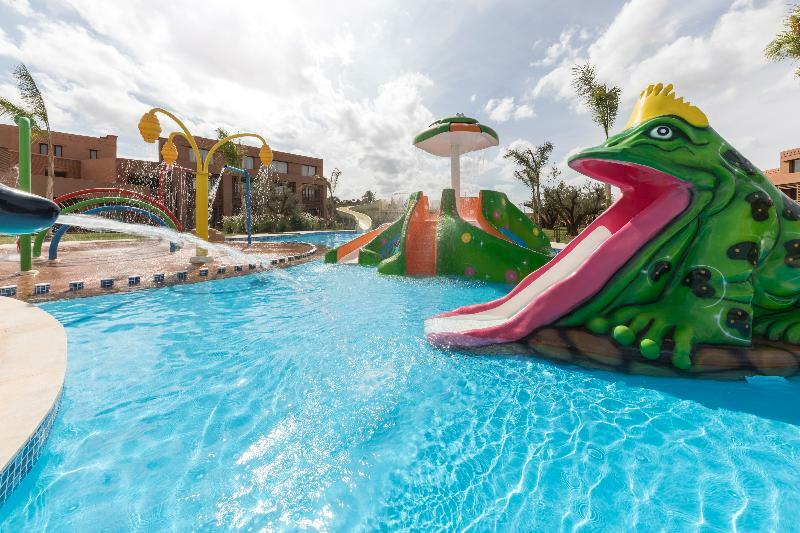 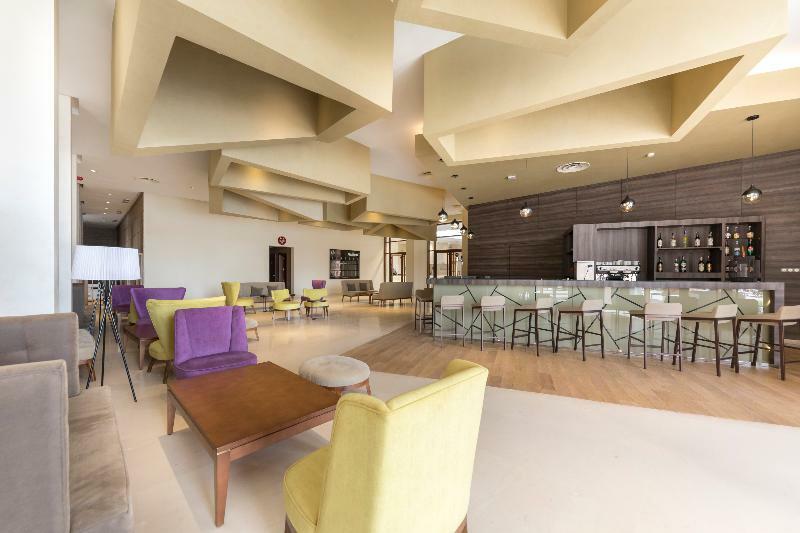 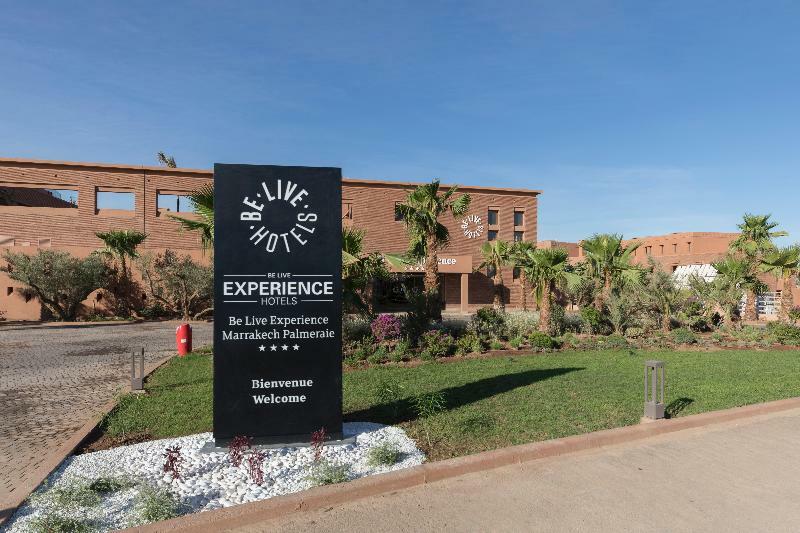 The hotel provides a large range of facilities on site , including 1 swimming pool, 1 kid´s splash pool, Miniclub, fitness center, conference and indoor entertainment room, open air theater, shops, parking and an educational farm for kids.